A recent rant submitted by Gary Marbut of Montana Shooting Sports Association is so void of fact that it requires rebuttal. If left unchallenged, stories can be accepted as the truth, so I provide some facts to balance his attack on common sense. His claim of FWP’s “shocking tolerance and support for large predators,” stems from a FEDERAL reintroduction of gray wolves and FEDERAL courts treating wildlife management as abstract legal theory rather than science. Fact is nothing FWP could do to change that. Does he suggest FWP should have disregarded Federal Laws and Courts? 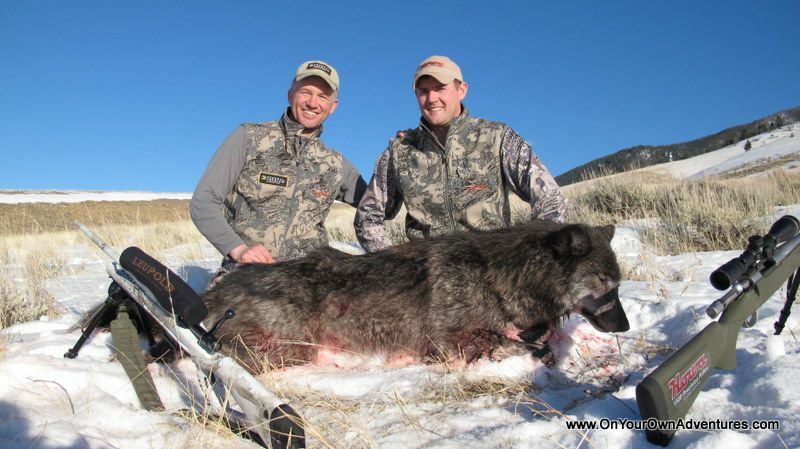 Common sense tells us FWP was handcuffed with the FEDERAL wolf reintroduction. FWP could have ignored common sense; much like Mr. Marbut and MSSA did during the 62nd Legislature, where they promoted over thirty unfavorable bills, including one to gut the state wolf management plan, which would have resulted in continued Federal wolf protection. His attack on the integrity of FWP personnel should not have been allowed by an editorial board. It is without any supporting evidence. Strong personal attacks need to be supported by fact, not a personal tirade quoted below. “by fudging game counts and census numbers, and by blaming any game population declines that could not be covered up on climate change, sunspots, lazy hunters, or aliens - anything but the truth." These claims, if not so incendiary, would not be worthy of a reply. So flawed is this logic, or illogic, to ignore loss of habitat, a politically-influenced elk management plan, and legislative mingling, as primary causes for current elk numbers. Unfounded claims such as this have no place in the discussion. Fact is Mr. Marbut’s friends in the Legislature continue mingling in the affairs of FWP, to the detriment of resident hunters, making science-based game management political fodder. Senator Debbie Barrett and her colleagues have passed bills requiring FWP to keep elk and deer populations under already low objectives. Those bills and the low objectives in the Montana elk management plan have done much to reduce elk populations in the Madison, Bitterroot, and Gallatin – a fact. Now for the most humorous of his quotes, “Nobody at FWP noticed or cared several years ago when the editor of the NRA's nationwide American Hunter magazine published a feature article about his fruitless elk hunting trip to southwest Montana, a trip where the only tracks he saw were wolf tracks." Since when is FWP responsible for a magazine editor’s hunting skill, or in this case, lack thereof? Given the abundance of elk “several years ago,” it is hard to believe an experienced hunter could not even find a track. Unfortunately, this kind of storytelling serves as truth among some who serve in Helena. In the last two months, friends and I have hunted wolves whenever possible. Predators have fallen to our bullets, including one wolf. Hunters managing predators, as planned. With wolf delisting, we have every tool reasonably expected to manage predators. How many vocal critics are actually out there using these management tools, versus sitting behind their computers whining that FWP is not killing these predators for them? Speaking of predators, the kind that prey on resident sportsmen seem abundant during legislative sessions. Bills promoted by MSSA and Mr. Marbut have often been attacks on FWP, resident hunters and anglers, and common sense. Bills like HB 321, which would have cost Montana Resident Sportsmen over $24 million in federal matching dollars. Or HB 369 which would have crippled our Game Wardens and let poachers have free reign. Fact is the list of predatory bills from the last session is much longer than space allows, and MSSA was often on the wrong side. Mr. Marbut’s tirade seems most driven by fear of a slight fee increase. Whether or not FWP will go to the next legislature for such, who knows. What we do know is that history shows MSSA will likely be on the wrong side of the issue when measured against facts, common sense, and what is best for resident hunters. So, there are just a few facts about MSSA’s recent attack on FWP. Facts being a currency many extremists are uncomfortable with, with MSSA often being bankrupt in their use of facts. Thanks,Randy. It is truly unfortunate that anyone is willing to publish Mr. Marbut's baseless rhetoric. The hunting and fishing license fees we pay in Montana are a pittance compared to the services provided by FWP for science-based management of our fish and game. We'd all be better off if we kept politics out of science and let professionals do their job. If the anti-science crowd wants to boycott hunting season, I'd gladly pay the increased license fees to make up the difference.